The 48 MP ISOCELL Bright GM1 and 32 MP ISOCELL Bright GD1 are Samsung's new 0.8-micrometer image sensors for mobile devices that enable camera module manufacturers to build smaller modules or cram more pixels into existing designs. These sensors support Gyro-based image stabilization and the Tetracell technology for increased light sensitivity. Smartphone photography technology is now moving forward at an impressive pace and Samsung is one of the big names leading the efforts in this field. 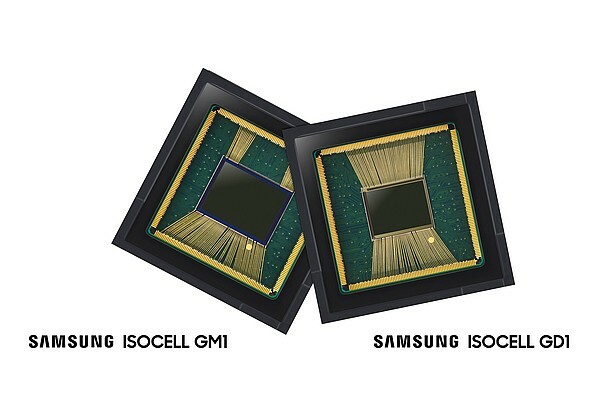 Earlier today, the company has unveiled two new image sensors, both belonging to the ISOCELL family of products: the 0.8-micrometer(μm) 48 MP Bright GM1 and 32 MP Bright GD1. According to the official press release, "the new sensors provide greater design flexibility, enabling camera module manufacturers to build smaller modules or pack more pixels into existing designs, and consequently allowing smartphone makers to maximize space utilization in slim, bezel-less smartphones." The Tetracell technology used in these sensors merges together four pxiels to work as one, thus increasing the light sensitivity value. When compared to a 1.6-micrometer sensor at 12 MP and 8 MP, the 0.8-micrometer GM1 and GD1 can deliver the same light sensitivity, but — as highlighted by Samsung — the smaller pixel size allows for more compact camera modules that deliver the same performance. In addition to the aforementioned Tetracell tech, the ISOCELL Bright GM1 and Bright GD1 also feature support for Gyro-based electronic image stabilization, but the real-time HDR feature is only present in the GD1. The new sensors are expected to enter mass production in the final quarter of the year, so we will probably see them at work in new handsets in early 2019, if not before the end of 2018.